With an innate ability for law enforcement, Willie Ng currently serves in the role of Chief Criminal Investigator since January 1, 2015 with the Bexar County Criminal District Attorney’s Office, where Willie leads his team of over 50 Investigators working closely with prosecutors, and local and federal law enforcement agencies to successfully prepare criminal cases for prosecution in Bexar County. During his short time as Chief Criminal Investigator, Willie has partnered with the United States Secret Service and established the Cyber Crimes Forensic Unit which is designed to complete forensic exams on electronic devices such as desktop computers, laptops, mobile devices and additional forms of technology. Willie has established the Executive Protection Team within the Unit, which is designed to provide security protection for officials and dignitaries visiting the Bexar County District Attorney’s Office. Willie has reorganized the Criminal Investigation Division, which includes additional support of three civilian positions. Willie has been diligent to increase training and education within the unit doubling the amount of required training each year, and Willie continues to partner with other agencies in training for the greater good of Bexar County. In doing so, Willie justified the need of adding 12 Criminal Investigators to the Bexar County Criminal District Attorney’s Office and gained the approval of County Commissioners. Prior to joining the Bexar County Criminal District Attorney’s Office, Willie served the great city of San Antonio with the San Antonio Police Department (SAPD) for 22 years. During his time with SAPD, Willie started as a Patrol Officer patrolling all areas of San Antonio, then served as a Detective Investigator where he investigated various criminal offenses in the Repeat Offenders Program (ROP), Financial Crimes Unit and worked with the United States Secret Service where he was deputized as a Special Federal Deputy Marshal. Willie’s in-depth training as a law enforcement professional ranges from Hand-to-Hand Combat & Self-Defense, Hand-Written Forgery, Counterfeit Currency & Credit Card Fraud, to Lie Detection, Narcotics, and Emergency Management training by the U.S. Department of Homeland Security. Willie has a Master Certification in Law Enforcement by the State of Texas. San Antonio area, and has been consistently recognized by the San Antonio Business Journal as one of the Largest Minority Companies in San Antonio and by Inc. 5000 as One of the Fastest Growing Companies in America. Blue Armor Security Services, Inc. was recently awarded Small Business of the Year by the Hispanic Chamber of Commerce in 2015, among others, respectively. In addition to public service and economic development, Willie is tireless in his efforts to serve the community in non-profit work. Encouraging the children and future leaders of our community is invaluable to Willie. As the former interim Chief Executive Officer of JOVEN, Inc. (Juvenile Outreach Vocational Education Network), Willie restructured the non-profit organization through a financially challenging state and lead the organization to greater funding and support where its thriving today. As an alumnus of St. Mary’s University in San Antonio where Willie received his Master of Public Administration, he has established three graduate-level scholarships, The Willie Ng Master of Public Administration Scholarship, The Dr. Charles Cottrell Scholarship and The Dr. Henry Flores Scholarship. Higher education is a passion of Willie’s, and he continues to provide financial support for educational initiatives through various scholarships throughout the community. Willie is currently studying at the University of the Incarnate Word to obtain his Doctorate in Leadership Studies. Supporting local business and community leaders is important to Willie. Currently serving on the Executive Board of the Hispanic Chamber of Commerce, and as Chair of Membership, Willie provides support and active recruitment of members, as well as serving in various capacities on behalf of the organization. Additionally, Willie serves as Board Member of the San Antonio Education Partnership. 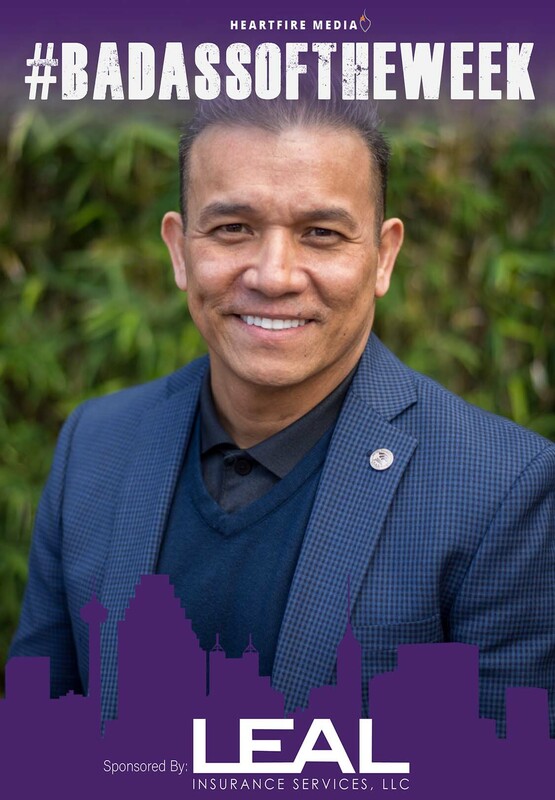 Willie serves as Pilar IV Support Council Member, Reducing Violence and Recidivism of My Brother’s Keeper San Antonio and Willie is a Co-Founder of the Maestro Entrepreneur Center and Maestro Leadership Development. Willie is a member of the Advisory Council for the Latino Coalition national organization advising on International Affairs and Homeland Security. Willie serves on the Advisory Board with the Urban Soccer Leadership Academy (USLA). As a consummate professional public servant, Willie provides consulting and support to local educational and non-profit organizations, community leaders, entrepreneurs and law enforcement. Willie regularly speaks about education initiatives, business leadership, economic development and modern law enforcement throughout South Texas. Willie received the coveted award of the 2017 State of Texas Law Enforcement Achievement Award for Professional Achievement by the Texas Commission on Law Enforcement (TCOLE). In 2016, Willie received the ASIS International Award for Exemplary Service to the Community and Law Enforcement. As a result of his incessant passion for public service, Willie established The Willie Ng Family Foundation, which will provide a diversity of support to people and animals throughout the community with various needs. Willie’s devotion and tenacity to Bexar County and the city of San Antonio are evident in his life’s work, and Willie continues to strive to enhance the future of our community for current and future generations.